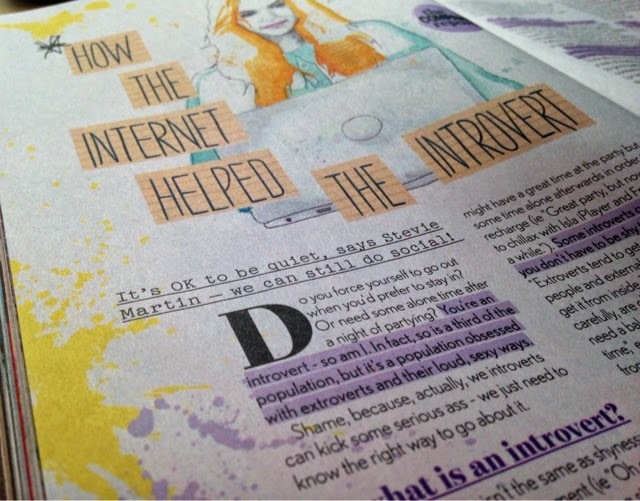 ELLSDOUG: Shh: a shout-out to the introverts. I am a self confessed introvert. Never have I seen the allure of a night out "on the town", the idea of prolonged social activity sends shivers down my spine- even the thought of it makes me tired! For a long time I thought I was alone in this, many of my friends lived for Friday night when they could say goodbye to school and hello to a thriving social life. Instead, I could often be found in bed reading a book or re-watching Greys Anatomy for the millionth time! It wasn't so much that I didn't like talking to people, but rather that five days a week I was in school, which meant that by the end of the day, and most certainly by the end of the week, all I wanted was a bit of alone time and some much needed rest. I am now at university where I feel my introverted tendencies have become even more obvious, I find myself turning down requests to go out, simply because the idea of going out just doesn't appeal to me. I would just like to point out that my introversion is mixed in with a bit of shyness and anxiety and I know that shyness and anxiety doesn't automatically make me an introvert but I feel that I definitely match many of the qualities found in an introvert! Recently I stumbled across a few things that have brought introversion to the forefront and I have realised that the reason I felt singled out in my need for alone time was because introverts don't shout about it from the roof tops- that's just not our style! 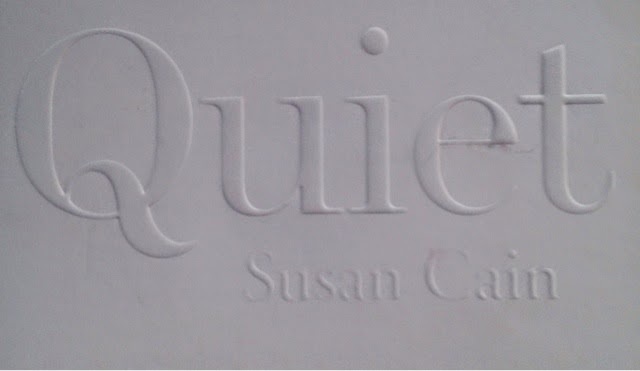 So first I would like to talk about "Quiet" by Susan Cain- I have recently started reading it and although I have yet to finish, I am so far loving it! 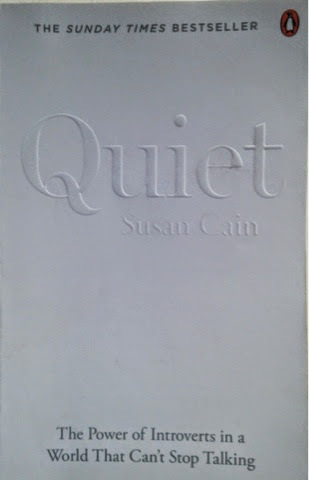 As an introvert who has always considered it as a weakness, Cain's book, which focuses on the power of introverts, has really made me more confident. It has also made me realise that there is no need for me to change myself to suit a world that is seemingly dominated by extroverts. I picked it up at my local Waterstones and my eyes were immediately drawn to it, from a distance the cover seems blank, and although I know you shouldn't judge a book by its cover, I felt this cover was very effective and I had high hopes before reading a single word. I have just started my second year university exams and after my first exam on Friday I picked up the May copy of "Company" to cheer myself up. 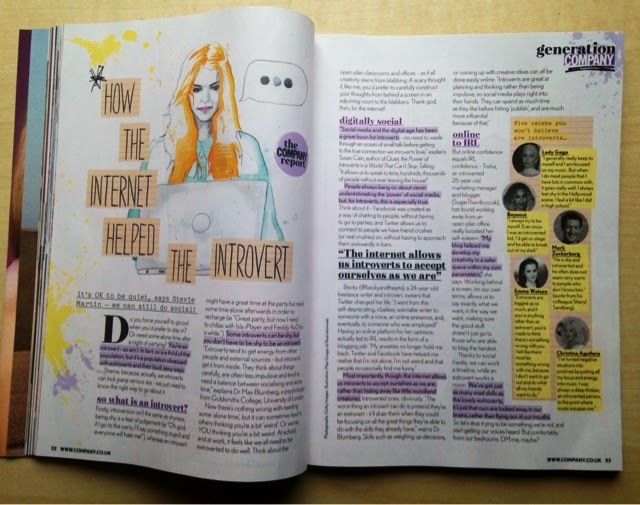 It was whilst flicking through that I found this article titled "how the internet helped the introvert". I felt this was particularly relevant as I actually started my blog to give myself the voice which I felt I lacked in my everyday life. When I am writing a post I don't feel the pressure to make constant conversation, I can write a post at 4am in the morning or whilst I eat my lunch- there is no pressure to do certain things or be a certain type of person, I really feel as though this blog has allowed me to be the person I want to be. 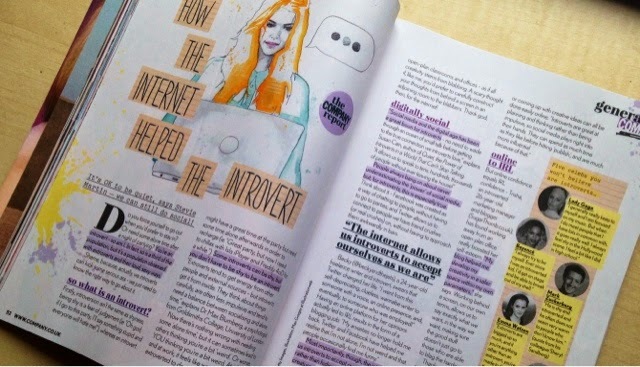 What this book and article have made me realise is that my introversion isn't a negative trait and that I can be just as successful and happy even though until this point I felt as though I lacked the voice to do it. I would love it if you could let me know if you consider yourself an introvert. Have you ever considered it a weakness?